Not too long ago I got to see Colt Ford over in Lakeland, Florida. It was a great show, standing room only of course. Tonight at Boots N Buckles in Lakeland the show was, once again, awesome! Colt brought the house down. This Georgia native knows how to party and easily gets the crowd pumped. When you take a little country and mix it with a little hip hop n' and rap you can only get one crazy/good result, you get Colt Ford. When he sang his song "Cold Beer", which he co-wrote with country artist Jamey Johnson, it was no surprise that I found myself singing along as I headed for bar to order up a cold one. Nah, just kidding about the beer, but I was telling the truth about singing along. I think I may have even got a little throwing my hands up in the air happy. "Country Thang" and of course "Chicken & Biscuits" were sure crowd pleasers. I don't think there was one person in the packed venue who remained seated. Everyone I could see was on their feet, dancing, and singing along, to his back to back hits. I have said it before, and I will say it again, Ford was the most wildly entertaining show I have seen in quite a while. I especaily enjoyed it when he performed his rendition of "Sweet Home Alabama". 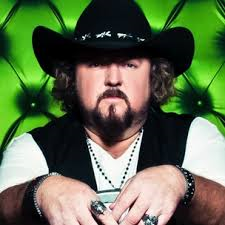 I feel compelled to warn Kid Rock and Lynyrd Skynyrd that Colt Ford is now in the house and in control. Sweeeet!